Description: Parker McLeod is the proprietor of The Garhole Bar, a favorite watering hole out on Galveston Island's west end among the salt grass marshes, rattlesnakes and prickly pear. The international intrigue of his last two adventures are fading from memory and island life is good, until he comes upon a ghostly-thin mother with a troubled 14-year-old son needing a ride. Against his better judgment he loads the hitchhikers into his old Chevy pickup. It soon becomes obvious what a pile of trouble his passengers are when a man with a gun wants him to pull over. 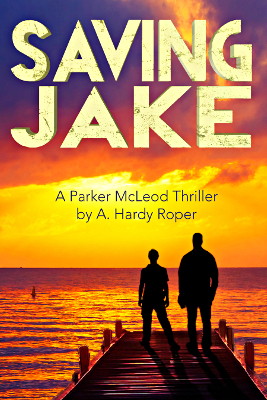 After a harrowing shootout Parker thinks he's gotten rid of the duo, but when the boy appears at The Garhole, he sees ﬂashes of his own childhood and is torn between mentoring the boy and breaking all ties. Viewed: 11,619 times since October 29, 2015.